While you are Googling Mamaliga, some facts about its origin and mine. The Republic of Moldova is nicely nestled between behemoths Ukraine and Romania. According to National Geographic the people of Moldova are the saddest people in the world. Coincidentally, the happiest people are supposedly ex-Moldovans. Well, something both of you readers may not have realized but according to my bio, I, Ziggy, am one of those proud ex-Moldovans. With that said, I may be more familiar with Sri Lankan cuisine than Moldovan, I think. 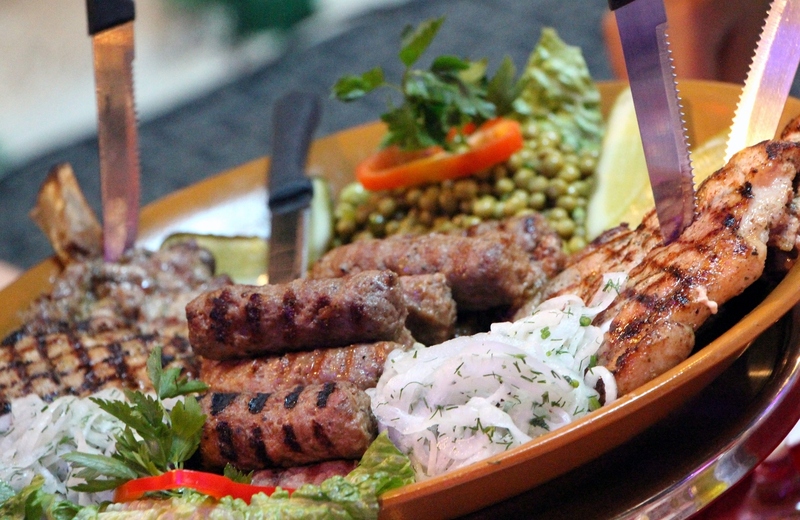 I never really thought about what Moldovan food really is as I always assumed its pretty much like Russian (with some Romanian influence) food and I still sort of do to an extent. 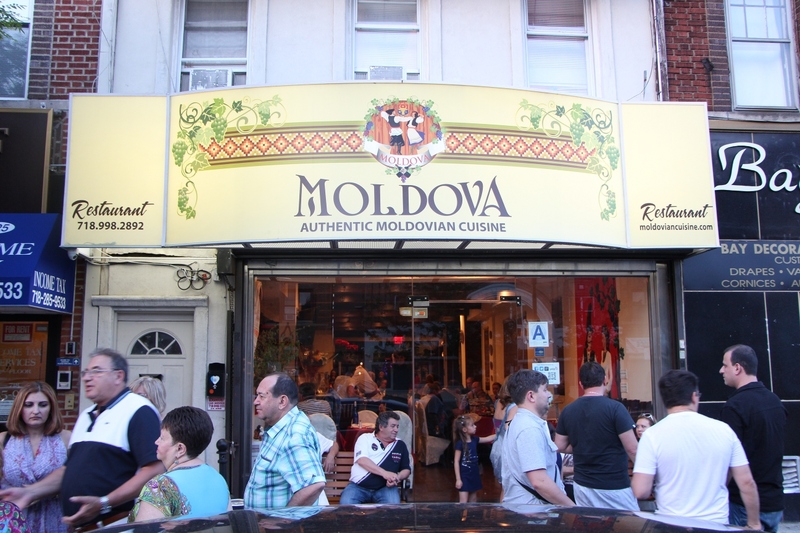 I went to Moldova the newish restaurant in Brooklyn with a large group last week. Everything ordered was family style so I didn’t even look at the menu. In true Russian form, they start you off with a large array of salads where a nice Babaganoush-like eggplant salad was one of the standouts. 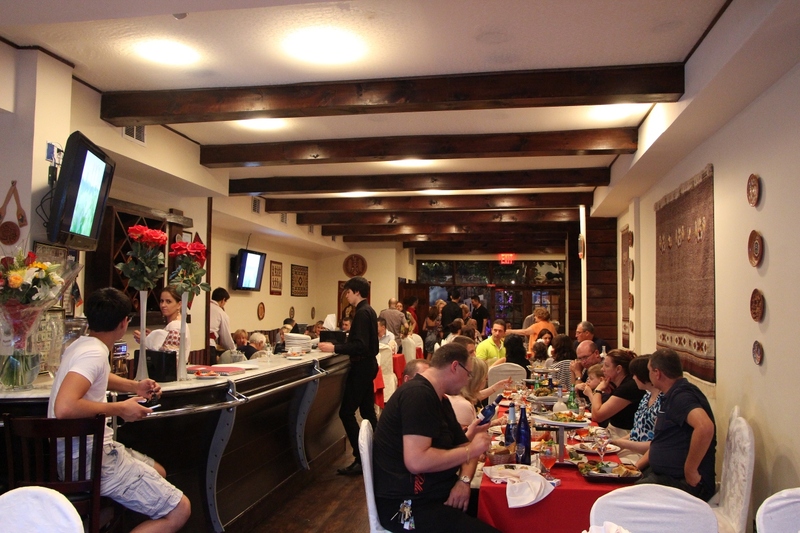 But the most memorable app was the Fasolita, a yummy mashed bean paste with roasted onions and oil. I never heard of it and pretty sure they invented the name. But you come here for the Mamaliga. 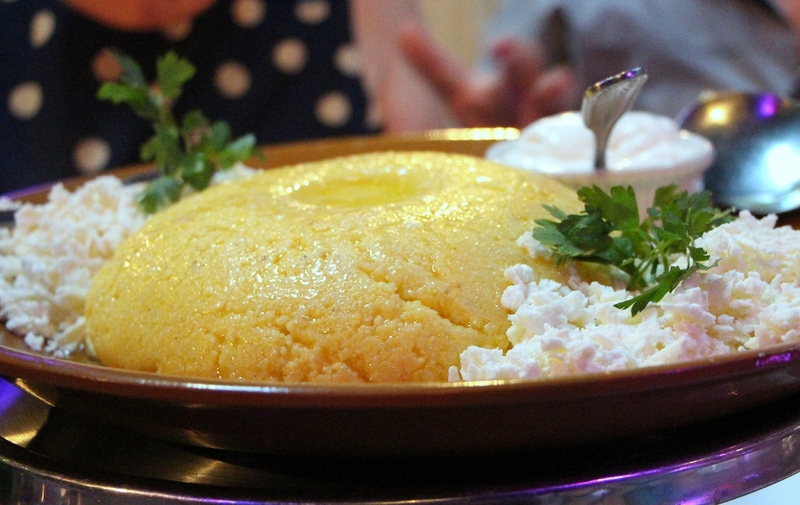 Polenta on steroids! Our family style version was a massive piece of cornmeal, but what you would normally get is a smaller piece of Mamaliga in the middle of a plate surrounded by an assortment of meat, cheese, sour cream, and egg. In our case it was more like a glorified side dish to compliment the mixed grill consisting mainly of 2 things. Mititei is something I grill at home on occasion. It’s a mix of ground beef, pork, lamb with herbs and spices rolled into a hotdog size kebabs. Unless you overcook them it comes out really nice and juicy and this was cooked right. And so was the Costita, basically a nicely spiced pork chop and this one was very flavorful. Very often with large groups those things come out dry but here it was nice and moist. Sounds delicious. The story of growing up in Moldova was very funny, btw. I am from Moldova and love mamaliga, of course! 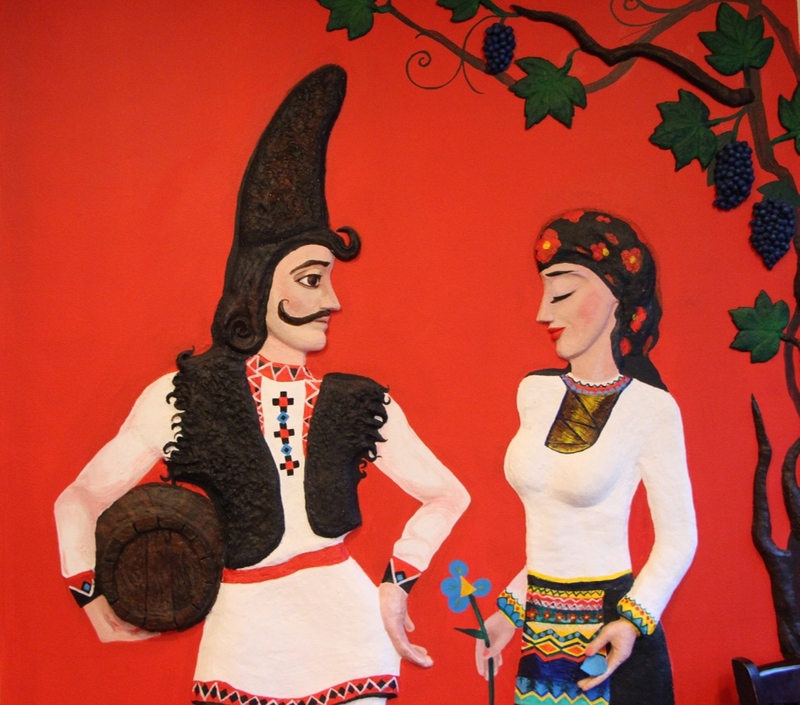 I make it at home here in Buffalo pretty often, but I will definitely go try it out at the Moldova restaurant when in NYC. 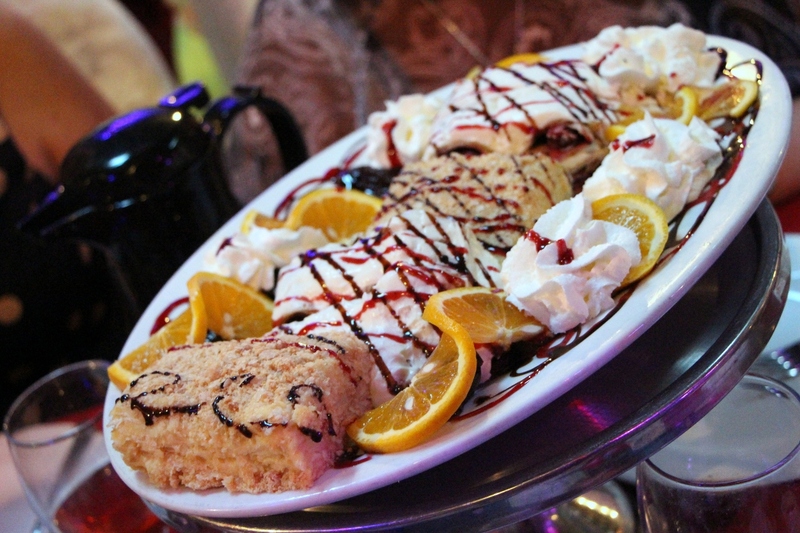 And have some sour cherries crepes, my favorite dessert in the world!